Iran's foreign minister today slammed Israel's Binyamin Netanyahu for staging a "cartoonish circus" after the Prime Minister brandished what he said was a piece of an Iranian drone shot down by Israel. 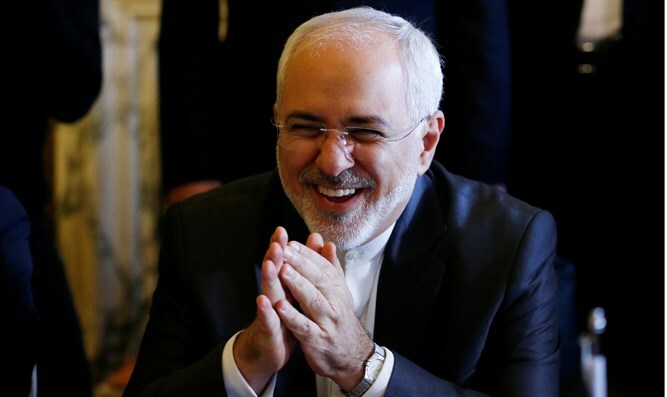 "You were the audience for a cartoonish circus just this morning which does not even deserve the dignity of a response," Iran's top diplomat Mohammad Javad Zarif said at the Munich Security Conference, as he took to the stage shortly after Netanyahu's speech. Netanyahu declared that Israel would prevent Iran from approaching its border. "We said we have red lines, we are preventing Iran from establishing itself in Syria, but Iran is trying to cross these red lines, and last week they sent a drone to Israel, which we downed. We will not allow Iran to establish a force on our border. We will attack not only Iran's proxies, but also the country itself." He turned to the audience and told them, "The Iranian Foreign Minister will soon talk about peace. He claims Iran is fighting extremism, and he argues the conflict in the Middle East won't be resolved by a military solution," Netanyahu said. "How will he explain the fact that they are sending drones to Israel?" Netanyahu wondered. At this stage he took out a rectangular piece of dark green metal which he called "a piece of that Iranian drone, or what's left of it, after we shot it down." Holding it aloft he asked, "Foreign Minister Zarif, do you recognize this? ", drawing laughter from the audience.